At first, it seems like a cop out – especially for recovering perfectionists like myself – but there's truth in this statement, and freedom when you learn to incorporate it into your life. Today, let's take a closer look at this philosophy as it relates to the art you do with your kids. What if, instead of wanting for the right time or the perfect plans to be in place, we just went for it!? That's what next week is all about! I'm hosting a free challenge called Art Everyday. We'll leave our perfectionism at the door, and jump into 5 fun projects with our kids. We don't have time for art because we're focusing on other subjects. We don't have the money to invest in an art program. This challenge solves both problems! When was the last time you heard a homeschool mom say, "We just don't have time for math (or science, or literature) right now... we'll get to it later." We all make time for math and handwriting and lots of other core subjects. I'm proposing that, although art is often seen as an elective, it's just as important as any other subject. Next week, let's challenge ourselves to change that mindset, and see all of the amazing things that begin to happen in our homeschool when we make time for art! And the time we make for art can be small. Tiny, even! You could look at a piece of art together in the morning and chat about it later as you drive to dance class. You can flip through an art history book during lunch and see what catches your kids' attention. You can set out a few pieces of white printer paper and a box of crayons and invite them to come up with something fun while you make dinner. The goal isn't to tackle big lofty lessons each day. It's to establish a regular routine filled with curiosity, excitement, and joy! 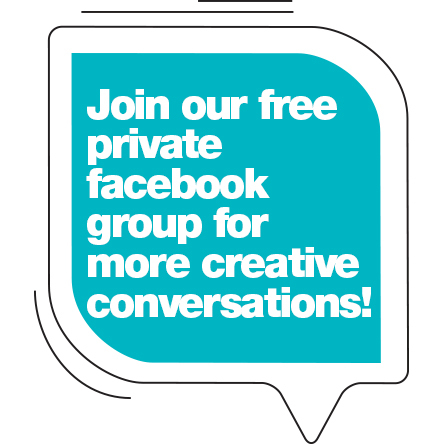 Sign up below, and you'll get a fun art idea to explore with your kids each day next week. Each daily activity will have two parts. A looking and chatting part, and a creating art part. Do one of them, or do them both... it's totally up to you and your kids. Let's see what happens when time and expense are taken out of the equation, and we commit to making art part of our daily lives– even if it's only for 5 minutes. I'm excited to deliver lots of fun ideas to you next week, and to hear about all of the fun you and your kids have exploring art together! Sign up for the Art Everyday Challenge by clicking the button below (and you'll also be entered to win a really fun package with supplies, an art book about Matisse for kids, and 3 Art History Kids guides of your choice!